Is Obama good for business? 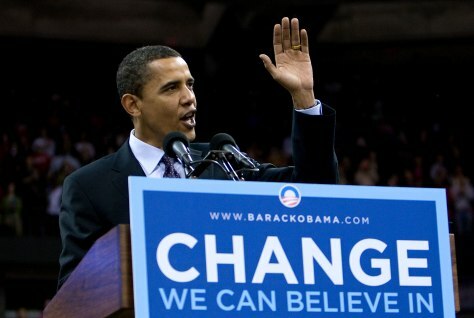 Democratic presidential hopeful Sen. Barack Obama speaks during a primary campaign rally in Madison, Wis. Tuesday. Unlike other liberal senators, Obama has stocked his staff with people who formerly worked at McKinsey and other nonpartisan business advisory firms.